It was an outstanding competition, enjoyed superb lighting, and the overall standard was amazing. 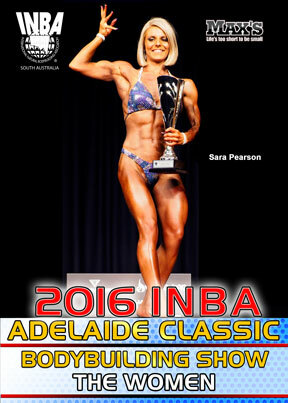 A beautifully proportioned SARA PEARSON was the Overall Women’s Figure Class Champion. Natural Bodybuilding & Figure Titles. It was a wonderful competition, which enjoyed superb lighting, and once again the overall standard was amazing. A beautifully proportioned SARA PEARSON was the Overall Women’s Figure Class Champion. See every round of competition through to the final posedowns and awards. Includes all routines from the Posing Rounds. The Major Sponsors were MAX’S and Australian Muscle.